Bordered on two sides by the Mississippi and Missouri Rivers, Iowa is a Midwestern agricultural state filled with unique small towns, wedding venues, caves, flea markets, lakes, resorts and roadside attractions. Home to President Herbert Hoover and western film icon John Wayne, Iowa has its share of historical homes, monuments, and parks. Cultural attractions include world-class art museums such as the Figge in Davenport and the Brunnier in Des Moines. 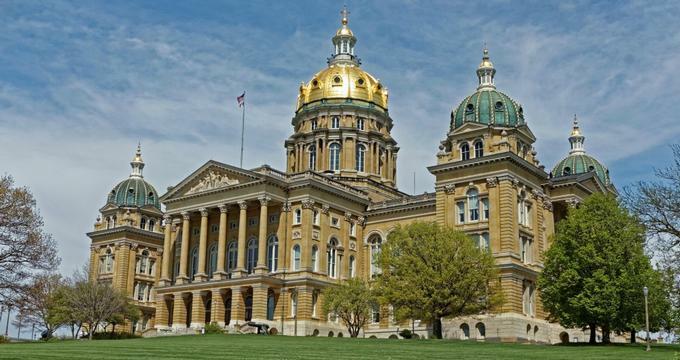 Iowa has an exciting array of attractions and cities just waiting to be discovered, including Dubuque, Iowa City, Ames and Cedar Rapids. 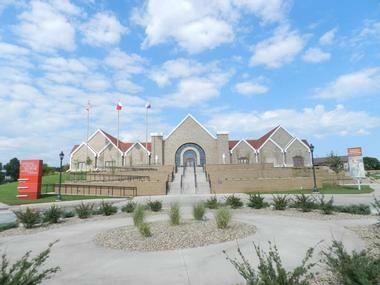 The Sioux City Lewis and Clark Interpretive Center is a 20,000-square-foot cultural complex commemorating the Corps of Discovery’s expedition into the Sioux City area in 1804. The storyline of the exhibits focuses on the death and burial of Sergeant Charles Floyd. The museum uses technologically advanced and interactive exhibits to tell the story of the military operation and artifacts from the expedition are also on display. The Traditional Native Games exhibit features items related to Native American games, particularly in relation to the role of the buffalo in Native American life. The center features a theater and several monuments. The National Czech and Slovak Museum and Library is a library and museum committed to preserving the history and culture of the Czech and Slovak people. The museum is located in Cedar Rapids, which is home to many Czech and Slovak Americans. The museum exhibits are dedicated to telling stories from the past, learning from the past, and looking to the future. The Buffalo Bill Museum, located in LeClaire, features exhibits related to life along the Mississippi and the history of the local area. History exhibits tell the stories of famous people from LeClaire, including the museum’s namesake - Buffalo Bill Cody. 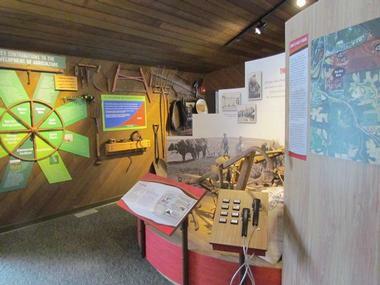 The museum’s exhibits include a wooden paddlewheel steamboat and there are Native American artifacts on display, including an exhibit which displays cradle boards. The museum includes a research room where visitors can do historical research on Buffalo Bill, river pilots, riverboat history, and local history by appointment. The Buffalo Bill Museum features a gift shop and hosts a variety of seasonal events. The Iowa 80 Trucking Museum is a museum dedicated to antique trucks and trucking-related artifacts. The museum is the creation of Bill Moon, who founded the Iowa 80 Truckstop. Many rare and one-of-a-kind trucks are on display at the museum, including a 1919 Pierce Arrow, a 1910 Avery Tractor, and a 1915 Mack AB. 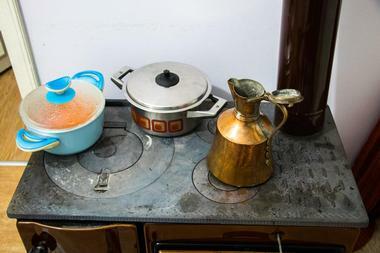 A collection of vintage gas pumps, oil drums, and other petrol-related artifacts is also on display and the museum features a large collection of antique toy trucks. The Iowa 80 Trucking Museum is open for individual and group tours all year round. The Field of Dreams is a baseball field a few miles outside Dyersville. The baseball diamond was built for the 1989 movie Field of Dreams and has become a pop-culture tourist attraction. The baseball diamond is located on the Lansing family farm and even now, 25 years later, still attracts both fans of the Academy-award winning film and baseball enthusiasts. During the summer, the field hosts several “Ghost Baseball” games where players wear vintage uniforms and play a game as an homage to the film. Several other activities and events take place at the park from time to time. There is also an onsite store where you can buy film and baseball-related memorabilia. The Herbert Hoover Presidential Library and Museum is a museum dedicated to the 31st President of the United States and is also a library which houses the Presidential papers and memorabilia. The auditorium shows a 20-minute documentary about President Hoover, who is Iowa’s only President. The museum is open daily for tours and features a museum store. The library preserves almost 300 collections and exists as a center for political thought and debate, especially about issues related to agriculture, famine, aviation, and US foreign policy. Materials in the library are available for research on a non-circulating basis and cannot be loaned out. 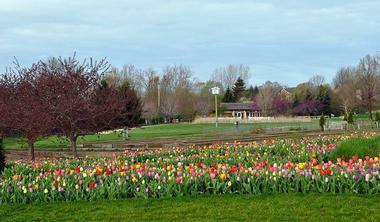 Reiman Gardens is the largest public garden in Iowa, featuring year-round indoor and outdoor displays. The museum houses the 2,500-square-foot Butterfly Wing, where visitors can view many varieties of butterflies. This wing displays emergence cases and guests can view caterpillars in various stages of becoming butterflies. 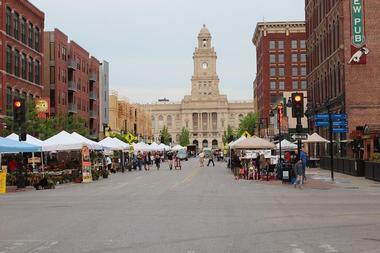 The Des Moines Farmers’ Market is an exciting community market featuring more than 130 vendors. Farmers from the area sell a variety of locally raised meat, including beef, pork, turkey, and duck. Visitors can also stock up on fresh eggs and in-season produce. In addition to fresh foods, vendors also sell many fresh homemade products such as honey, salsa, cheese, and baked goods. Handmade decorations, apparel, and homewares are also a frequent sight at the market. It is recommended that you bring your own bag or purchase a jute shopping bag from the market to tote home your goodies. The National Mississippi River Museum & Aquarium is a museum dedicated to preserving the history and culture of American rivers. 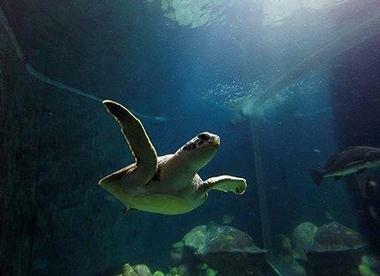 The museum’s aquariums represent many river ecosystems throughout the United States, especially those of the Mississippi River and the Gulf of Mexico. 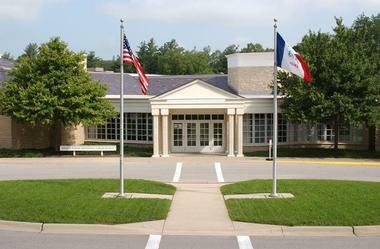 The Brunnier Art Museum is the only accredited museum in Iowa dedicated to the decorative arts. The museum collection comprises many pieces of ceramics, paintings, textiles, carpets, and more. The museum is part of the Iowa State University and was founded as a result of a large donation of art pieces by former alumni Henry and Ann Brunnier. Since the original large endowment, the museum has grown to hold many decorative pieces from all over the world. There are eight to twelve permanent exhibits that tell the stories of the pieces and educate the public about the arts. Throughout the year, the museum hosts many educational forums, lectures, conference, classes, and more. Adventureland Park is an amusement park in Altoona. The family-owned park features over 100 rides, attractions, and shows. Some of the tallest and fastest rides in the country include The Monster and The Storm Chaser, which are sure to get the blood pumping in even the most thrill-seeking guest. Family-friendly rides include the classic Tilt-A-Whirl, a sky ride through the tree tops, bumper cars, a carousel and more. Even the smallest thrill-seekers won’t be left out at Adventureland, with a variety of kiddie rides to keep them entertained for hours. Adventure Bay is the park’s water section and includes the largest wave pool and longest lazy river in the state of Iowa as well as many other attractions. 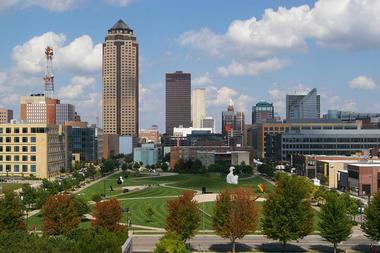 The John and Mary Pappajohn Sculpture Park is a 4.4-acre pedestrian-friendly park in Des Moines. The park features art from 22 artists in a beautifully landscaped public setting. Guided tours are available with advanced reservation and audio tours are available online or by phone. However, visitors are free to walk through the park and view the sculptures at their leisure any time the park is open. The park invites visitors to bring a picnic and enjoy a relaxing meal amongst the sculptures. The Sculpture Park can be reserved for weddings, parties, and special events. 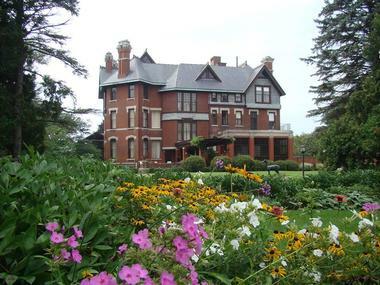 The Brucemore is an estate and mansion in Cedar Rapids. The mansion was built in the Queen Anne-style and is surrounded by gardens, including formal English gardens, a children’s garden, and a night garden. The home is on the National Register of Historic Places and is available for touring. Several tour options for both individuals and groups are offered, including personalized special tours. The visitors’ center is located in the home’s restored carriage house and displays exhibits related to the home’s history as well as artifacts from its residents. The Brucemore Estate hosts several events throughout the year, including concerts, plays, festivals, and holiday celebrations. 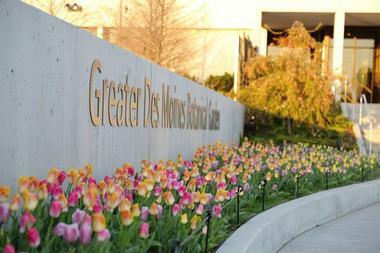 The Greater Des Moines Botanical Garden is a 14-acre facility with both tropical and temperate garden displays. The garden is dedicated to providing a place for visitors to explore and learn about plants, gardening, and more. The outdoor gardens are perfect for strolling and the indoor gardens provide a piece of year-round paradise under the conservatory’s geodesic dome. The botanical garden hosts fun and educational events several times a week. Trellis, the onsite café, serves lunch. The food is sourced locally and dishes are inspired by plants. The garden’s shop features home and garden items as well as art created by local artists, children’s toys, and apparel for all ages. 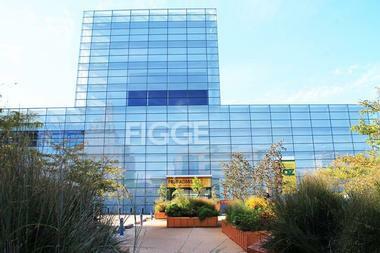 The Figge Art Museum is an art museum in Davenport which features local, national, and international art from the 15th century onward. Housed in a glass building overlooking the Mississippi River, the museum’s collections feature some of the finest art in the Midwest. Popular collections include the American collection of Colonial to World War II art, the Mexican Colonial Collection, and the Haitian Collection. The museum frequently hosts traveling exhibitions from around the world as well as lectures, classes, and special events. The museum can be visited on a drop-in basis, and self-guided tours or guided tours can be arranged in advance. 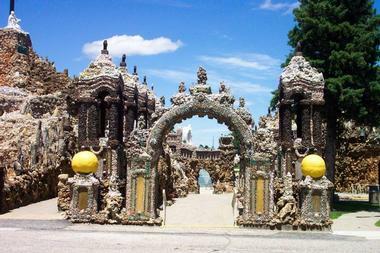 The Grotto of the Redemption is a religious shrine in West Bend. The shrine is made of up nine mineral-rich grottos which depict scenes from the life of Christ. It is thought to be the largest grotto in the world. The site also features one of the largest collections of fossils, minerals, and petrifications in the world. The rocks and minerals that make up the site are thought to be valued at over $4 million. There is an onsite museum that displays precious and semi-precious stones from around the world. The property offers tours of the shrine, a restaurant, a store, and campsites. The Mines of Spain Recreation Area is made up of nearly 1400 acres of woods and prairie near Dubuque. 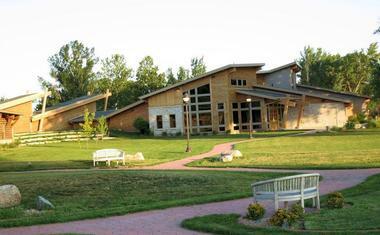 The area is a National Historic Landmark and features an interpretive center. Hiking trails include the Horseshoe Bluff Interpretive Trail, where visitors can take a self-guided nature tour. In the winter, the trails can be used for cross-country skiing. Visitors can canoe or kayak on Catfish Creek, which empties into the Mississippi. The Julien Dubuque Monument stands at the point where the two waterways meet. Wildlife that may be spotted in the park includes white-tailed deer, bobcats, flying squirrels, and wild turkeys. Herbert Hoover National Historic Site is a park that houses the birthplace and childhood home of the 31st President of the United States, Herbert Hoover. The park includes several buildings that were created to allow visitors to experience what the grounds were like when President Hoover lived there. Included in these buildings is a recreated blacksmith shop, a schoolhouse, and a Quaker meetinghouse. The graves of President and Mrs. Hoover are also located at this historic site. The Presidential Library and Museum housing memorabilia and presidential papers of President Hoover is also located nearby. The Iowa State Fair has been an annual event since 1854 and remains one of the most popular state fairs in the United States. 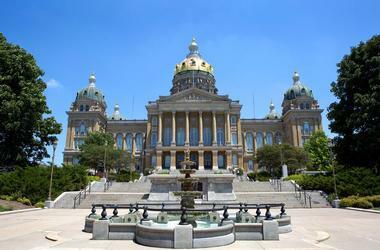 The 11-day event, based in Des Moines, attracts more than a million visitors each year during the month of August. The fairgrounds are large and include more than 160 acres of campgrounds. Each year, a local lady sculpts the famous Butter Cow, which is then displayed at the fair. Attractions include 10 acres of midway rides, including a double Ferris wheel. The fair hosts incredible livestock shows and agricultural contests as well as art shows and commercial exhibits. 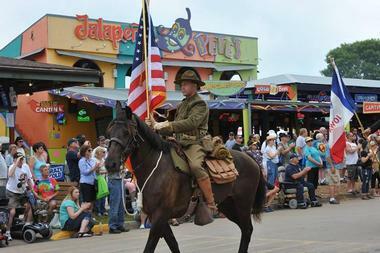 The fair features a heritage village which showcases life in Iowa in the mid-1900s. The Surf Ballroom and Museum is located in Clear Lake and is a historic Rock and Roll landmark. The Surf was the location of the last performance of Rock and Roll stars Buddy Holly, Ritchie Valens, and J.P. Richardson, also known as “The Day the Music Died.” The Surf Ballroom is almost 100% original, with some necessary additions for modern technology. The onsite museum features music memorabilia and a wall of fame which includes many of the artists who have performed at the Surf over the years. The Surf souvenir shop sells memorabilia and apparel related to the Surf Ballroom and the history of Rock and Roll. 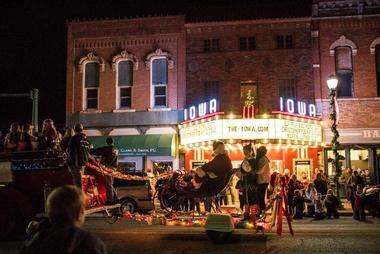 The Iowa Theater has been honored as having one of America's most charming historic theater marquees by Atlas Obscura, named as one of the state's top historic theaters by Best Things Iowa. The theater, which was constructed at the turn of the 20th century, was renovated in 1914 to accommodate a modern motion picture cinema alongside an area for stage performances. Throughout the 20th century, the theater became a regional leader in theatrical technology implementation, including the presentation of the state's first films with sound. Today, it offers daily showings of classic 20th-century films and family favorites, along with live theatrical performances presented by the Apple Tree Players. The John Wayne Birthplace and Museum is the only John Wayne museum in the world and features the world’s largest collection of John Wayne artifacts and memorabilia. Items on display include original movie posters, scripts, letters, clothing, artwork, and even one of his customized vehicles. The museum includes a theater which shows a documentary about Wayne’s career. The museum store sells John Wayne-related collectibles and more. The birthplace of John Wayne has been restored to what it would have looked like in 1907, when he was born. 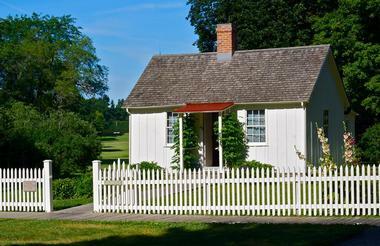 Visitors can explore the museum and Wayne’s birthplace at their leisure on self-guided tours. First opened in 1970, Living History Farms in Urbandale, Iowa, is an outdoor interactive history museum that tells the story and celebrates 300 years of Iowa's history of agriculture. The museum exhibits showcase the lives of farm folks in 1700, 1850, and 1900, when they were engaging in a range of agricultural activities. The visitors are brought from the town by a tractor-drawn cart to the entrance on the west side of the museum. The exploration starts at the 1700 Ioway Farm then proceeds to the 1850 Farm, the 1900 Farm, and the Wallace Exhibit Center, before returning to the town. The 1875 exhibit depicts the town of Walnut Hill, with several structures, such as the original Martin and Ellen Flynn Home and Barn. The 1700 Ioway Indian Farm exhibit portraits the farming techniques and lifestyle of the Ioway Native Americans. The guides, or the “presenters,” are dressed in period clothes and are available to answer any questions visitors might have. 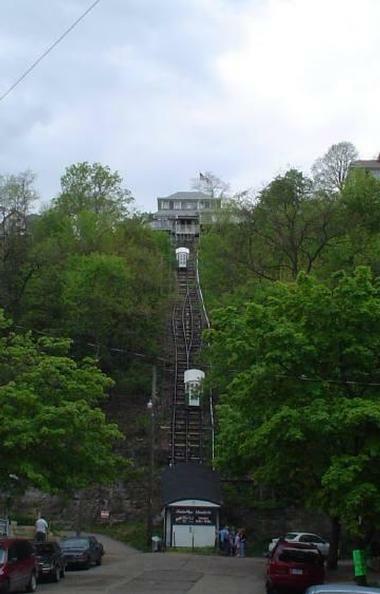 The Fenelon Place Elevator Company is a narrow gauge scenic railway in Dubuque. The railway is only 296 feet long but ascends an incredibly steep, 189-foot incline. The railway was originally built by politician J.K. Graves to help him make his daily commute. He had been frustrated by the long buggy ride from his home on top of the bluffs to downtown so he built the railway, which he modeled after the incline railways and cable cars he had seen in Europe. From Fenelon Place at the top of the climb, visitors can take in an amazing view of the Mississippi River as well as the historic Dubuque business district. Supposedly, you can see three states from the top. Effigy Mounds National Monument in Harpers Ferry is a park which preserves more than 200 effigy mounds built by Native Americans in prehistoric times. Many of the mounds were made in the shape of animals such as birds and bears. This specific type of mound building is common only in this part of the United States. The largest mound is called Great Bear Mound and measures 42 meters long and more than a meter high. The monument’s visitors’ center features a museum that displays archeological artifacts as well as an auditorium and a bookstore. There are no paved public roads in the park, but there are 14 miles of hiking trails for visitors to hike and experience the mounds.